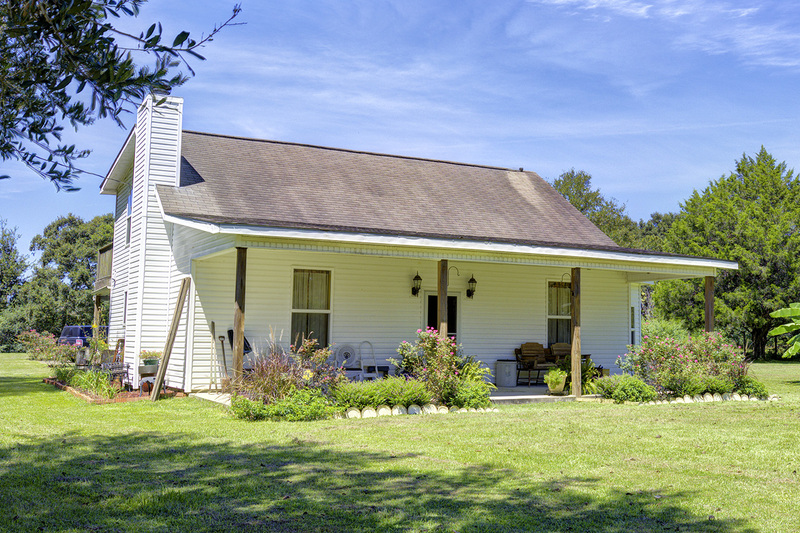 Cozy Two Story Home For Sale in Robertsdale Alabama! Host the perfect football party in this Cozy Two Story Home For Sale in Robertsdale Alabama! The community of Rosinton in Robertsdale Alabama is really something special. With several families living on the same land for decades, the heritage and tradition of the area is what the community is know for. Many may not know it even exists, but to the residents, it is home. This home on Lowery Dr is no different. 19875 Lowery Drive has been perfect for the current homeowner. With an open kitchen, living and dining room, this home would be perfect for hosting friends for football or family holiday gatherings. The kitchen has been upgraded with tile countertops, large island and upgraded flooring. The living space is centered around the wood-burning fireplace, and provides a cozy, comfortable scene. The master is a large space with privacy away from the rest of the home. The property sits on one acre of quiet peaceful land. Close to schools and the interstate, and surrounded by estate custom built homes. Fully take advantage of such a property and enjoy the outdoor living of Rosinton/Robertsdale Alabama on Lowery Dr! Come tour this Cozy Two Story Home For Sale in Robertsdale Alabama with the Jason Will Real Estate Team!